More than 1,000 people came to the arena. Young basketball players with aspirations to star in a Robert Townsend movie were at the American Airlines Arena Sunday for the chance to score a role in the film. 'Playin' for Love' will begin shooting in Overtown in November and centers around a star basketball player who transfers schools and turns a coach's life upside down. Commissioner Michelle Spence-Jones, who was at the auditions, told NBC 6 South Florida that the event would mean more than just an audition. "This is bigger than just making movies, this is about changing lives," she said. "This is about giving young people an opportunity for them to think beyond what they see." 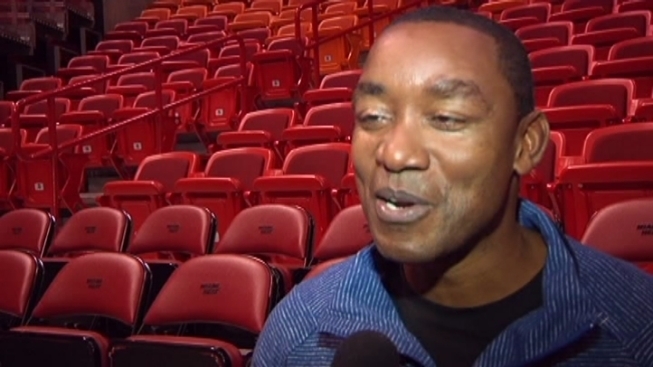 Former NBA player Isiah Thomas agreed. "You're trying to give them skills to develop and live with, you want this to be a life-changing moment, you want sport to be the catalyst to give them the thought to propel themselves to the next level in life." More than 1,000 people came to the arena, kids Thomas said reminded him of himself. "Every time you go back and help kids, you always see a little but of yourself because you realize that you weren't too far from that," he said. Spence-Jones hoped the boys and men at the arena would walk away with a positive message. "What i want them to walk away with, more so than anything else, is that I want them to believe in themselves and know that there is another alternative to guns and violence."